Previous post: Graduate Fair June 10th & 11th June – How relevant is this fair for International students? Does that sound like you’re feeling? If so, then you’ve come to the right place for information, advice and ideas on how to get started. If you’re really stuck for ideas, this can give you some suggestions for areas to focus on and explore further. You could also use Prospects Planner or the TARGETjobs Careers Report. Go to the June Graduate Recruitment Fair and other careers events and talk to employers. What type of work do they offer? What do they look for in a successful CV? What job hunting advice can they give you? You can promote yourself to employers, but these events are also good for finding out more about different occupations and roles – and also how to tailor your CV to these opportunities. The Which career? section of our website contains information on different sectors (e.g., Education, IT, Engineering, Finance, Scientific work…and more) as well as profiles of alumni and other employees. We have reference books, guides and journals. Experienced information professionals are on hand to help you with queries, recommend information or refer you to a guidance appointment. 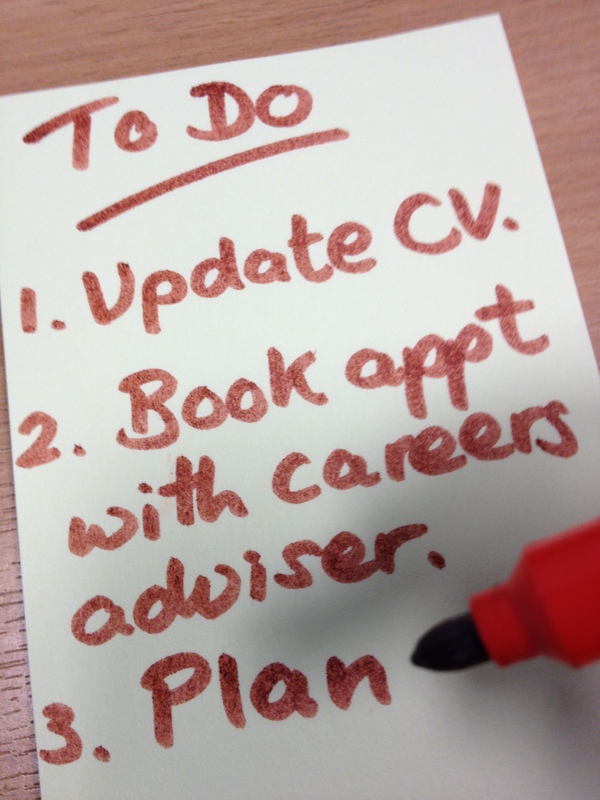 Talk to a careers consultant. It’s best to have tried the approaches above first, but if your head is spinning with options or none of them seem to appeal, make an appointment to talk to a careers consultant. Getting on to a Masters degree proves that you’re smart, and more than capable of managing this whole process. A lot of the resources you will need are already available on our Careers Service website and through CareersLink. Last, but definitely not least, browse all of the University of Manchester Careers Blog for valuable information, advice and insight from our whole team of bloggers.